It’s midweek and already my brain has turned to blancmange. So for everyone’s sake, I’ll keep today’s post simple. 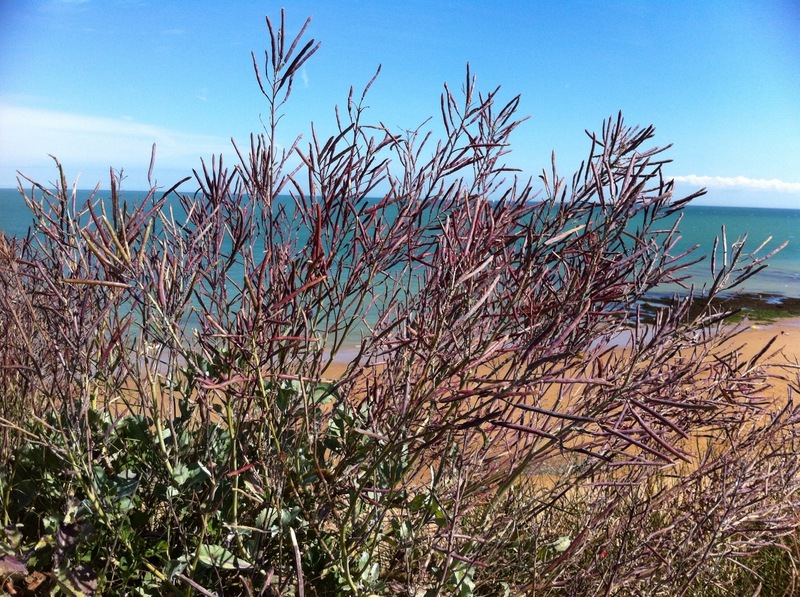 Living by the seaside, we need not stray very far to marvel at nature’s resourcefulness. 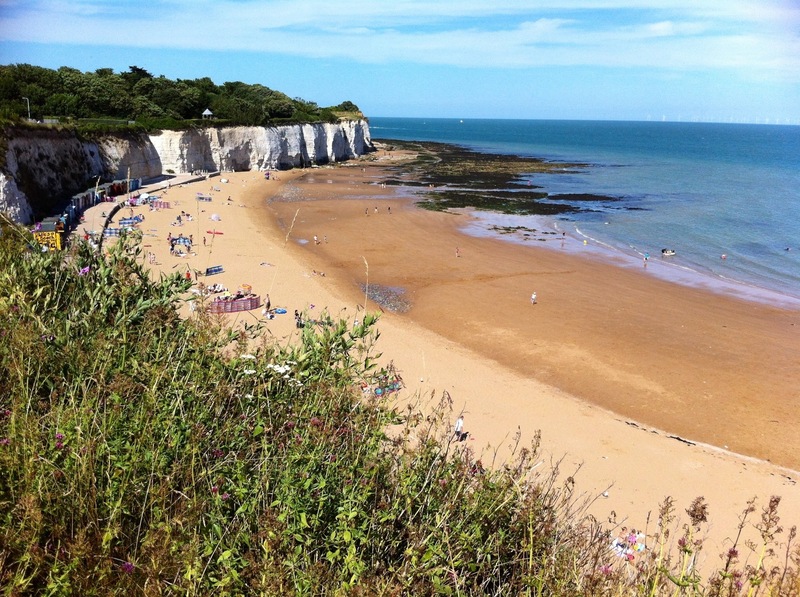 Occupying a variety of precarious positions, chalk-loving wild flowers punctuate the white cliffs around Broadstairs from spring until late autumn. Pictured above is Stone Bay, one of the prettiest and most popular of our town’s beaches. Following intrepid golden wallflowers, Cineraria maritima and Valeriana officinalis comes the everlasting sweetpea, Lathyrus latifolius, scrambling fearlessly through windswept brambles. The lipstick pink trusses become entwined with the frothy white flowers of Clematis vitalba, old man’s beard, featured at the top of this post. 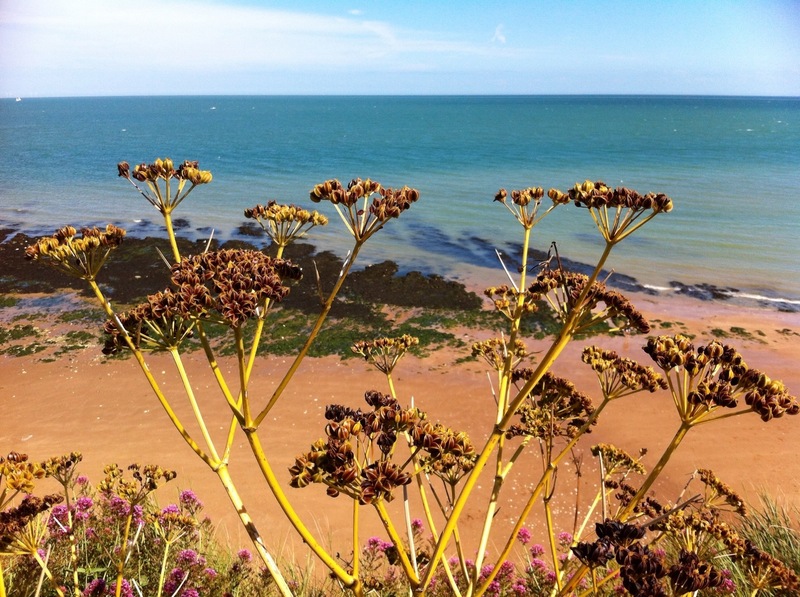 Close by, the mustard-yellow stems of a waning umbellifer stand out clearly against sand and sea. A rhapsody in silver-green and frosted plum are the seedheads of escaped rapeseed plants (Brassica napus) preparing to start a new family of cliff dwellers. Who needs gardens when nature can look this good, eh? That’s precisely my opinion too – nothing beats mother nature! Very beautiful pictures! Thanks Sue. It’s been so long since I went there on a little pilgrimage. Must try to go again soon. Never been but have lots of his books…He would surely be alive today with today’s medical advances …a sad loss..
Breathtaking – you are one lucky guy to be able to include this beautiful location in your life on a regular basis. ENJOY! 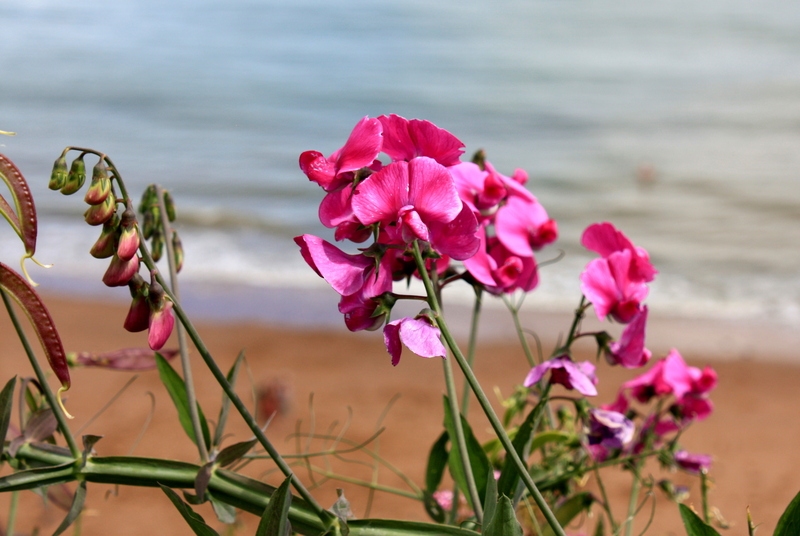 It is very lovely, especially in summer and when we have visitors here to remind us how lucky we are!